Congratulations, you’ve worked up the courage to ask out that special someone and they’ve said yes. Now comes the really hard part: planning your first date. I know this can be super nerve-wracking. You want to plan your date to make sure you have a great time and show how much you’re interested. But you also don’t want look like you’re trying too hard or investing a lot in something that may not work out. To help ease your nerves, I’ve turned to research to uncover what actually makes for a great date. 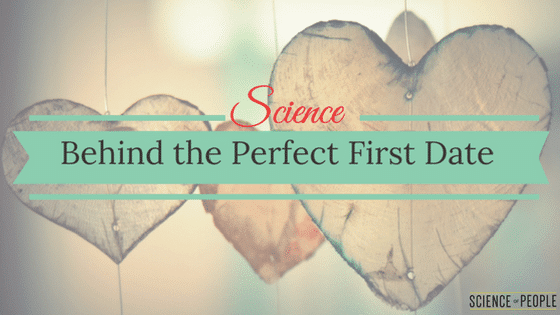 Here’s a detailed set of first date tips, according to science. The location you choose sets the tone for your date. Unless you already know what types of activities your date likes, it’s best pick a neutral, low-pressure place where you can focus on getting to know each other and figuring out how well you connect. The last thing you want to do is go to a nice restaurant and discover before your food even has been brought out that you two don’t ‘click’ and it’s not going to work. In this scenario, you’re stuck for the rest of the meal anyway. Can somebody say ‘Awkward’? Instead of dinner and a movie, suggest trying a local bar or a hip new coffee shop instead. The casual environment serves as a convenient space to have an engaging conversation without the pressure of dressing fancy or buying an expensive meal. If it feels uncomfortable, you can leave after the first drink. Or better, you hit it off and you have the freedom to continue your date for as long as you both like. Plus, the bustle of people around you is enough to make extroverts feel at home. Their brains thrive in busy environments without overwhelming introverts who prefer more intimate settings. If you’re quiet or have social anxiety, the most nerve-wracking part of going on a first date is trying to have an engaging conversation with someone you barely know. 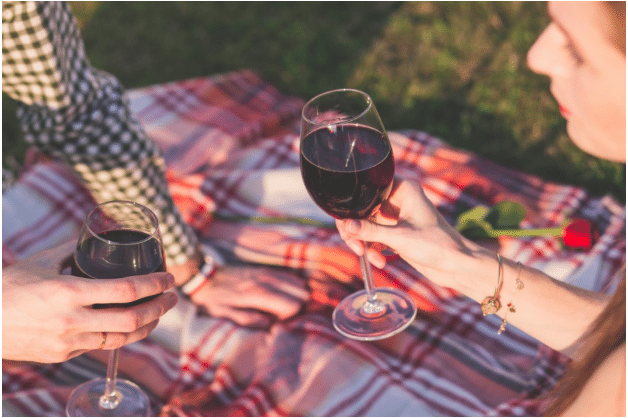 Luckily, psychologists have discovered some keys to the perfect dating conversations. Studies show that if you’re going on a date, with a woman especially, you should forget the cheesy pick-up lines and opt for an interesting conversation starter instead. Women tend to rate empty compliments and failed attempts at humor poorly. They are more attracted to dates who spark conversation topics that show they are curious, intelligent and cultured. Don’t know how to do that? Northwestern University Psychology Professor Dan McAdams studied what it takes to truly get to know someone. He created a list of thirty-six questions guaranteed to help you understand people on a deeper level. Given the choice of anyone in the world, who would you want as a dinner guest? What’s your most treasured memory? Feel free to change the phrasing of these so they sound natural to you. Also, the key to a successful conversation in any context, but especially when you’re trying to wow someone, is reciprocity. When someone shares something about themselves or asks you a question, always reply back by sharing a similar story or asking them the same question. It’s polite and keeps the conversation equal. One of the most important things to do before a date starts and before you leave the house is getting your mind right. While you can’t control chemistry, compatibility, or attraction, you can make sure you’re mentally ready if they happen. You’ve gotta get your mind right before a date. If we enter into a date feeling unworthy or defeated, those feelings will carry throughout the night. And no matter how much someone likes us and even shows us their feelings, it won’t be enough to break through our own self doubt. This is why it’s so important to practice self-compassion before a date (or every day, really). If the mere mention of self-compassion made your eyes roll, I get it. It’s easier said than done. Sometimes it sounds too fluffy to be a worthy endeavor. However, it’s been proven that practicing self-compassion can have a tangible impact on our lives. So, what does this mean for you as you prepare for a big date? Practicing self-compassion can help you to stop ruminating on previous dating experiences that didn’t go well. It means you can understand that everyone is frustrated by dating and relationships sometimes. It means that any fear or trepidation you feel prior to a date isn’t a sign of something being wrong with you, but rather an awareness of a feeling we all deal with from time to time. In fact, these experiences are things that connect us all. In other words, sometimes dating is hard; sometimes dating is painful. But the really painful aspect of dating isn’t so much the experiences we endure as the way we internalize the experiences. Rather than blaming yourself, feeling unworthy or taking on a pessimistic view of the future, you can shake it all off and know this one thing: bad dating and bad relationships happen. But when dating and relationships go right, it can be life changing. Embrace the fear. Allow yourself to hope for something great. And get ready to just have fun. If you’re having a hard time getting past bad dating experiences, focus on what you can learn from them rather than dwelling on the negativity. Did you engage in unkind or unfair behaviors on your dates? Is there anything you could have done to improve past situations? Eric Ravenscraft, writer at Lifehacker, endured one too many bad dates and realized he had the power to create better experiences. He talks about making sure you’re bringing something to the table (rather than always expecting something from others first), learning to understand jealousy and more. Understanding the way you present yourself (and thus how others may perceive you) is important both before and during a date. In fact, if you’re venturing into online dating, then the “before” stage is extremely important. Stylist Clinton Kelly and dating expert Devyn Simone address this every week on their show, Love at First Swipe. On the show, Kelly and Simone evaluate someone’s online profile and enable the person to understand the vibe they’re giving off. More often than not, the person being profiled is shocked — never having realized that the vibe they intended to give was nowhere near what people actually were receiving. This can happen to any of us. Just like on the show, one of the best things to do is seek outside help. Ask your friends to give you their honest perception of your online profile — or how you put yourself together in real life — and consider the “why” behind the feedback. Why do you think they have the impression they do? Why do you think that impression does or doesn’t match up to what you intended? Why do you hope to give off the kind of impression you’re going for — and does it match who you really are on the inside? Whether it’s the words you use to describe yourself online, the pictures you post, or the way you dress, it’s important to understand the entire picture of what you’re putting out there. Is that picture truly your best self? Taking a deeper look at how you present yourself bleeds into your date in the way you communicate both verbally and nonverbally. 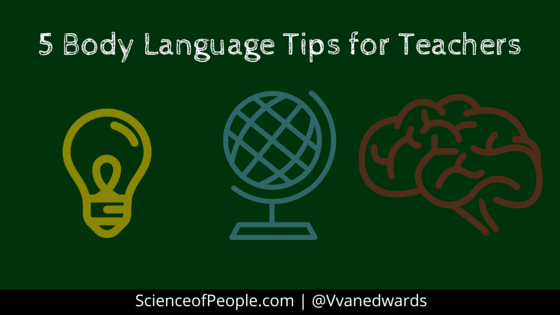 In fact, your nonverbals (your body language and facial expressions) are perhaps the loudest thing you communicate. If you’re interested in what your date has to say, don’t fold your arms. Tilt your head toward them. Lean in. These are nonverbal indicators showing your date that you like what they have to say and want to hear more. If you want to know if your date is interested in what you’re talking about, look for similar behaviors. If their arms are crossed or their feet are facing away from you, you might want to change the subject. Telling someone you’re interested isn’t enough — you have to make sure your body is saying it too for them to internalize the message. If you know you want to send a positive vibe, let your body do the talking for you. Here are three body language cues of attraction that work regardless of gender. Mirroring is when you subtly copy the behaviors of the person you’re with. So, if they shift or smile, you mirror those behaviors. A study by the Behavioural Science Institute in the Netherlands found that the more attracted we are to people, the more we mimic their behavior. If you struggle to express your feelings, mirroring your date’s behavior is a great way to subconsciously show them you’re interested. This is when you face your entire body from head to toe toward your date. 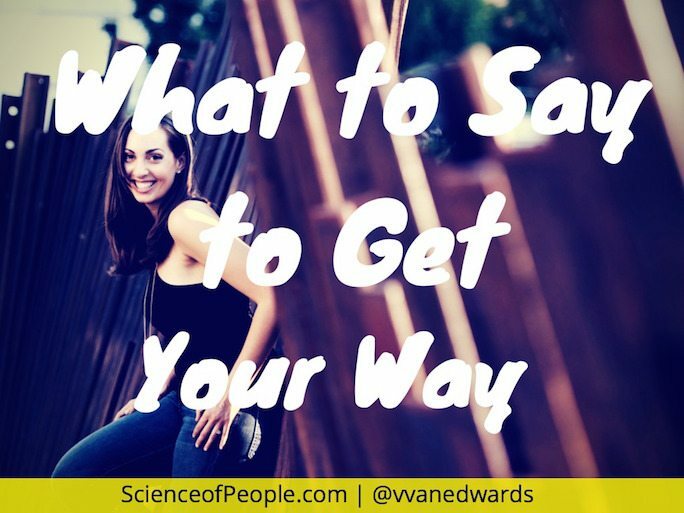 Research has found that we subconsciously point our toes in the direction we want to go. So, if your date stays engaged and pointed toward you, it’s a great sign. But if their toes are aimed at the exit, they might not be having as good of a time as they appear to be. Whether you’re standing against a bar or sitting across a table, when your date leans toward you, it’s a clear sign they are attracted and want to be closer to you. The opposite is also true. When they sit far back in their chair or take a step back from you, it shows their discomfort with the environment or conversation. Bonus Tip: A fun study conducted by Purdue University found that sweet tastes make us feel more attracted. So, if you want to end your date on an attraction high, treat them to dessert. After you’re squared away on sending the right message, you’ll want to make sure you’re showing your date your most interesting self. How? The key to being interesting is to be interested. Everyone — and I mean everyone — enjoys talking about themselves. By asking your date questions about them (and continuing the dialogue with your own thoughts when there’s an opening) you’re showing that you’re interested in them. That in turn makes you more interesting. Being aloof may look good on a magazine, but is no fun for anyone in real life. It’s not just important to be interested in your date, you also should show interest in the topics that come up. Curiosity is exciting! Someone who’s curious shows their innate intelligence and zest for life. So, if your date brings up something you know nothing about, rather than thinking you have nothing in common, ask for more information. Your date will be happy to divulge on a topic they like (and you ideally will return the favor) and they’ll see that you’re a curious person. This is a more attractive trait than most of us realize. We’ve talked about the psychology of attraction before and discovered that one of the best things we can do to bypass the brain’s naturally short attention span is to be intriguing, interesting and engaging. This will hold our date’s attention and we’ll likely be more attracted to our date if they show the same traits. Do you struggle with what it means to “be interested?” It’s simpler than it sounds: just ask questions! Anytime the conversation hits a lull or you feel a one-word answer coming on, engage in further questions to keep the conversation moving. 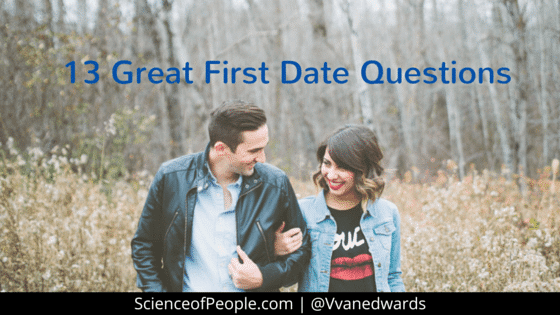 And if you’re really stuck, try some of these great first date questions. This is my most favorite dating tip — mostly because it’s the reason I’m with my husband: understand that a perfect match doesn’t require perfect compatibility. When I first met my husband, I thought he was cute and smart and really fun to talk to. Bu I very nearly discounted him because of his profession. Let’s take a moment to recognize how silly and shortsighted that is. Okay. So, here’s the deal. At that point in my life, I wanted to be more creative than I felt I was. And since I hadn’t yet discovered that side of myself (which now pretty much defines my entire being), I sought it out in relationships. If I dated creative guys, that must mean I’m creative, right? So, when I met my husband and heard that he was a computer programmer, I made a whole bunch of hasty assumptions about him: must be analytical, must be shy, must not be creative. Oof! Even writing this makes me squirm. What a judgmental person I was — and all because I hadn’t fully realized my own self yet. But I kept talking to him, and the more I got to know him, the more I realized how creative he was. I didn’t discover this on the first, second or third date. I discovered it after nearly a month of dating. What kept me going until then? Besides the attraction and the always interesting conversation (we seriously talked for hours every time we saw each other), it became pretty clear that we were compatible on the things that make up the core of each other as people. We weren’t compatible in careers or hobbies (other than our mutual love for coffee shops), but we were compatible in our values: hard work, ambition and a lack of desire to chase money just for the sake of outward success. This was enough to know there was something real going on. And as the months went on and the layers were peeled back, I learned that he’s one of the most creative people I’ve ever met. At that point, he also helped me discover my own creativity. So, basically, him being creative was icing on the cake. More important was the fact that he helped me find that in myself! Sometimes our perfect “match” has nothing to do with what we can list on a piece of paper. Often it has more to do with the values we live by (the very core of who we are) than the things we do for a living. And if you can find someone who lines up on your core and is curious, then you’ve really got something. My husband still never is going to list my favorite hobbies as his and vice versa, but since we’re both naturally curious people and interested in what makes the other tick, we still can share those hobbies and do them on a regular basis. It’s a win/win. I’ve only been married for just over two years, but already can attest to the truth behind that observation. Since my husband and I tend to think about things differently, we can help each other with challenges more efficiently. Rather than having the same opinions and suffering from confirmation bias, we challenge each other and help out in situations when the other is stuck. This has gotten us through multiple cross-country moves, a few job changes, and ventures into entrepreneurship. And more than anything, I feel a lot happier knowing that my life partner always will push me to be the absolute best I can be. Alright, this wouldn’t be a dating article if we didn’t talk at least a little bit about desire. And since we all want to be desirable to the people we’re attracted to, then it’s pretty important to understand what fuels desire. What fuels desire, truly, is in you. No, it’s not just about how you look. It’s also not about your outfit or your success or anything else that makes up the superficial aspects of your life. Desire comes from you. If you want to be desired, you must feel desire. If you want to feel desire, you have to feel secure in yourself. Relationship therapist Esther Perel discusses this in detail in a TED talk about desire and long-term relationships. But the lessons remain the same for all of us. We are open to desire when we feel confident, radiant and free. These qualities enable us to feel more secure in ourselves and thus open the door for desire to come in. We all have one thing that, when we do it, we feel totally in our element. For me, it’s dancing. I’ve been dancing since I was five years old and still nothing (not even my second love: writing) makes me feel more confident and alive. Even when I don’t feel good about my physical appearance, or I’m having a crappy day, getting out on the dance floor can wash all the negative feelings away. What makes you feel in your element? If it’s something two people can partake in (such as dance), then that’s a great date suggestion. You’ll come out of the gate showing your date who you are at your most fulfilled. If it’s not something for two (or if it’s something your date wouldn’t enjoy doing — like my husband with dancing), then arrange to do it before you go on your date. Then you can ride off the high of being in your element and bring all kinds of positive vibes to your date. You’ll feel better about yourself and your date will feel that confidence radiating from you — setting yourself up for the best possible experience. There’s no one out there for me. My perfect match just doesn’t exist. The type of person I like never will like me back. Here’s the thing. It’s not easy to find the love of your life, but it’s so worth it when it happens. And just like any other goal you want to reach, it can take a lot of self-evaluation to make it happen. Amy Webb is a journalist who was feeling unlucky in love and decided to take a different approach to dating. After enduring a failed relationship and realizing she was way behind her timeline on marriage and kids, she decided to hack online dating. The result? She learned a lot about what she was looking for and how to attract her ideal partner. It didn’t require a change of appearance or personality. It just required some data and some self-awareness. Watch the video to find out what happened next! According to Webb, you can create an algorithm for love…if you write it yourself. What does yours look like? Ordering and eating the same foods as your dinner companion not only helps you bond over your similar tastes, but subconsciously builds rapport and trust between the two of you as well. 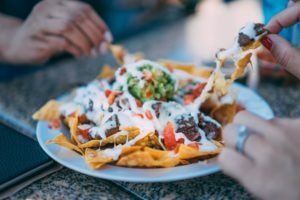 A fun, new research study has investigated the science of food and friendship: eating the same foods as your partner promotes trust and closeness between people. Professor Ayelet Fishbach found that in her experiment, participants who ate the same foods together reached agreements twice as quickly and were more generous with their money when it came to using it with the other person, compared to those who ate different foods. The people who were eating similar or dissimilar foods subsequently played the part of fund managers or labor negotiators for the study. Results revealed that “fund managers” who ate the same foods together actually invested more in a company, and were able to reach agreements over labor disputes in half the time. The researchers were eager to find out: could other factors have the same trust-building impact as eating together? They experimented with participants wearing similar shirts, but it turns out that was not as effective when building trust and maintaining a connection. Displaying similar body language also can influence trust between people, but again, nothing seems to compare to the power of food. Eating food already is very intimate: we trust the food we put into our bodies to nourish us and keep us healthy. Further, we trust those who eat the same foods as us as another component of trust-building. Not only does eating the same foods as our partner build trust and maintain a close bond with them, it is theorized that sharing foods has a significant impact on cooperation, conflict resolution and connecting people. From a business standpoint, food can be used strategically to help coworkers work together and build trust. On your next date, pay close attention to what both you and your date order. Do you cringe at your companion’s tastes, or do you find yourselves wanting the same foods? This small detail could speak wonders about the future of this relationship. We just shared 10 tips for a great first date. 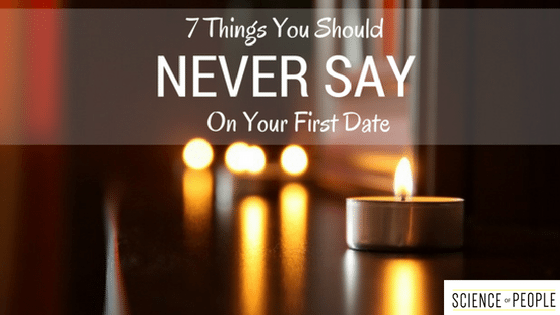 But don’t forget about these 7 things you should never say on a first date either!